Starke County (pop. 23,363) is west of Marshall County. It’s the only Starke County in the U.S. Its northwestern border is the Kankakee River, which flows west to the Illinois River in Illinois. 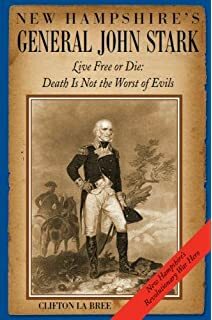 The county was named for Gen. John Stark (1728-1822), whose militiamen defeated the British in the Battle of Bennington (Vermont) in 1777. An “e” was mistakenly added to the county’s name sometime in the 19th century. The county seat of Starke County is the city of Knox (pop. 3,704). The Starke County Courthouse in Knox was built in 1897 in Richardsonian Romanesque style. Tours to the clock tower are available by appointment. 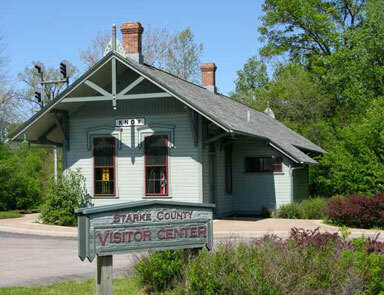 The Starke County Visitor Center is in the old Knox railroad depot. 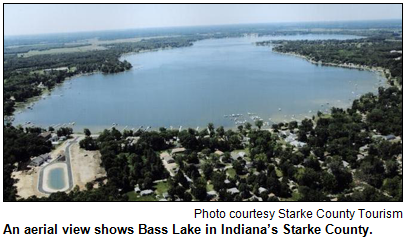 South of Knox is Bass Lake, the third-largest natural lake located entirely within the borders of Indiana. 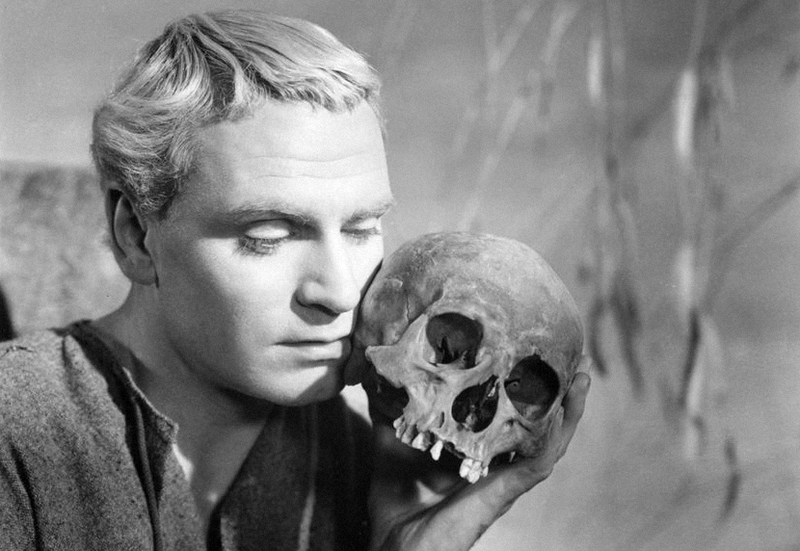 The town of Hamlet (pop. 800) was not named for Shakespeare’s Prince of Denmark; it was named for John Hamlet, who established the town in 1863. 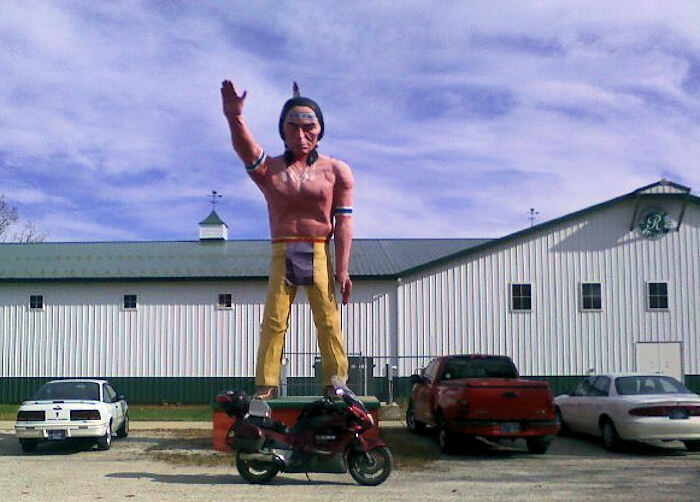 The unincorporated community of Toto, west of Knox, is known for its giant Indian, which was once located at the entrance to Porter County’s now-defunct Enchanted Forest amusement park. The park closed in 1991. The town of North Judson (pop. 1,772) has an annual Mint Festival, to celebrate the history of mint farming in the area. 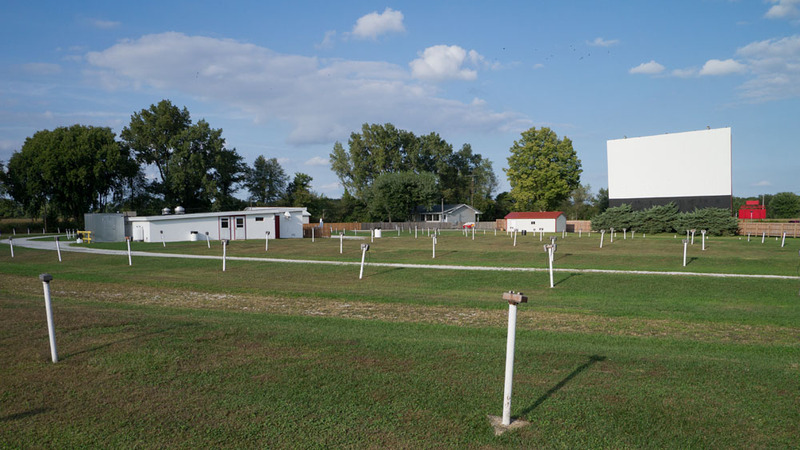 North Judson is also the home of the Hoosier Valley Railroad Museum.